Is Seeking Forgiveness and Healing this Lenten Season a Pipe Dream? 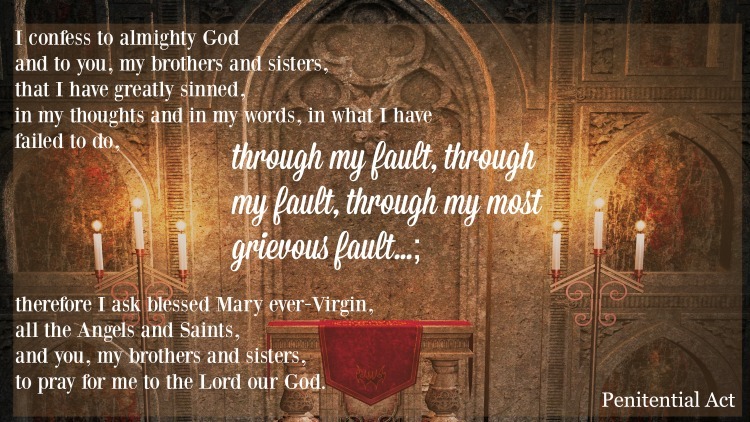 When Lent begins on Ash Wednesday, we are reminded that we are ALL sinful creatures who need to cry out to God for His mercy. Throughout the days of Lent, we can definitely focus on the idea of forgiveness. Even the Scripture readings for many of the daily Masses point us in that direction. 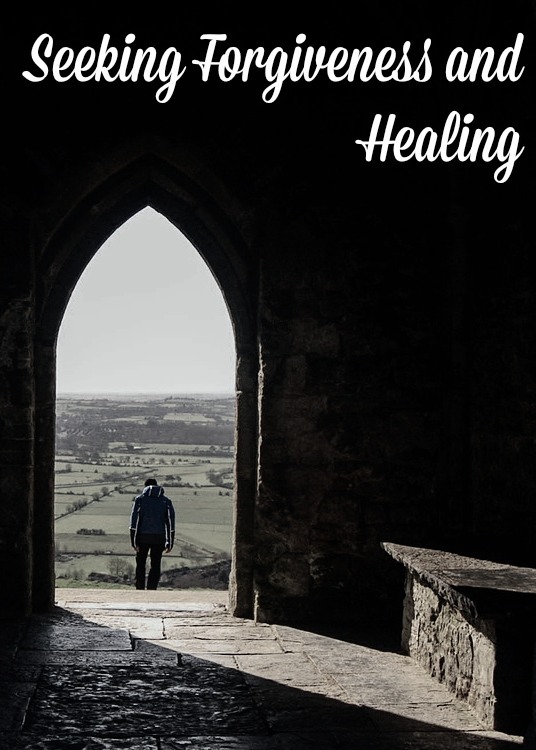 But, there are times when some of us (myself included) might wonder if seeking forgiveness and healing is just a pipe dream. Is it something we seek, but can never obtain? Well, before I get into a discourse I’ll start with the punchline. Yes, it IS possible to seek and obtain forgiveness and healing whether it is during Lent or another point of the liturgical year. So….where did this whole post come from in my personal ruminations. Truly, it has been something stewing under the surface with several little prods from different encounters and experiences this Lent. It was when I was selecting a post to share in the Worth Revisiting link up this morning that I felt a stronger nudge. 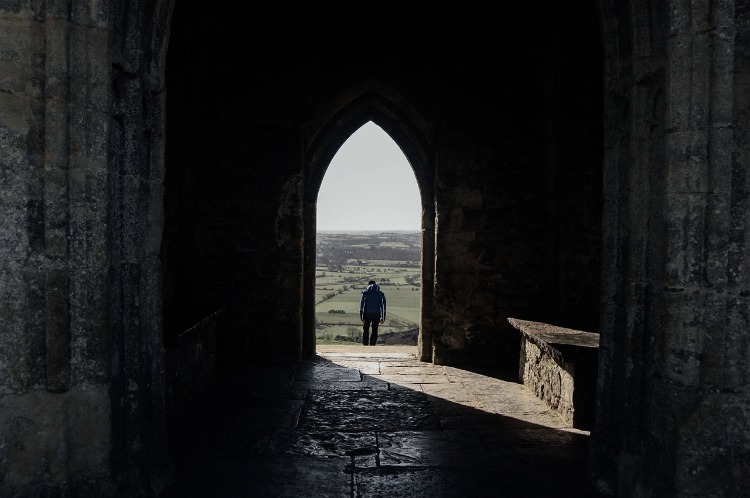 The post, Forgiveness and Healing written for Day 22 of 40 Days of Seeking Him Lent 2012, is one that was birthed by reflection upon the parable of the Pharisee and Tax Collector. This Gospel reading reminds us to come to God contrite of heart when we seek His forgiveness and mercy, like the tax collector in the parable. We need to truly BE humble rather than putting on airs so that the world thinks we are humble. The same can be true when we are seeking forgiveness and healing for ways we have acted out our sinful nature and injured others. The same can be true when we are seeking forgiveness and healing for ways we have acted out our sinful nature and injured others. While there are some whoppers we can do that really damage a relationship, it is often the little things that constantly eat away at it. Do we constantly tell little ‘white’ lies to someone because we are afraid of how they might take the truth? Do we constantly drop the ball on something we’ve promised to do and just expect others to adjust to our failures? Do we find ourselves speaking in anger or using words to ‘cut’ someone that we see has having offended us? When we do things to damage our relationship with others, we are also damaging our relationship with God. This past Sunday, our parish used the readings for the First Scrutiny instead of the regular ones. Our associate pastor gave the homily and mentioned a fact about Saint Teresa of Calcutta (Mother Teresa). She was told by a priest that the obstacle to growing closer to Christ was not a huge sin. Rather it was all the little ones adding up to cause a divide between her and God. Thankfully, as a Catholic, I have the opportunity to shrink that divide. I can confess my sins in the Sacrament of Reconciliation and have the priest absolve me of my sins. Confession can be terrifying. Who in their right mind wants to go into a small room, possibly with a priest you see on a regular basis, and tell them the awful things you’ve done? I’d love to just say that we already confess sins at the start of Mass each Sunday with the Penitential Act during the Introductory Rites. Rather we are called to bring our sins to the foot of the Cross via the priest. And this act if done well can be an incredibly humbling experience. Now, the other half of the picture of forgiveness and healing is to OFFER forgiveness to those who have hurt us. The Gospel reading on Tuesday (Matthew 18:21-35) tackles a sticky part of forgiveness…how often we should be doing it! There’s the old saying “Fool me once, shame on you. Fool me twice, shame on me!” You could easily substitute the word fool with wrong to suggest a more serious injury inflicted upon a relationship through attitudes, behaviors or words. In some ways, this ‘proverb’ tells us to be leery of someone that we’ve forgiven. As it is, there are some sins which people would tell you are ‘deal breakers’ in their relationships. Unfortunately, that saying does not take into account the limitless ability of God to forgive us and His desire for us to imitate Christ in such a manner. That Gospel reading started off with Christ saying we should forgive someone 70 times, a number that seems so large it isn’t likely that someone could commit the same offense that often. In other words…. FORGIVE them. Period. And ditch the score card if you have one! Christ goes on to lay out another parable in that portion of the Gospel. This time, the parable is of a servant who’s debt is forgiven by his master. Yet, the servant is unwilling to show such mercy towards someone else who owed him a debt. In the end, he brought misery upon himself through form or torturers. Yet again, we are told to FORGIVE others. So…no, seeking forgiveness and healing during the season of Lent is NOT a pipe dream. But, it is not a walk in the park, either. Thankfully, the reward at the end of the journey is well worth the struggle now. Do you receive the Sacrament of Reconciliation during Lent or throughout the year? Do you struggle with the same sin being repeated over and over and feel like you make no progress? 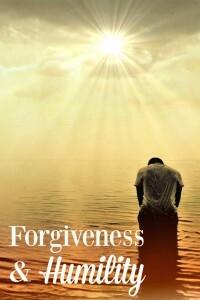 Is it a challenge to ask for or offer forgiveness? This post is linked up to the 40 Days of Seeking Him series (week 3) co-hosted here at Day by Day in Our World. Visit the anchor post to find more posts on the theme of Lent and preparation for Easter as submitted by other Christian bloggers. What a beautiful reminder. I always believed that we can attain forgiveness, not just during the Lenten Season but all throughout the year. As always, it will be up to us whether we choose to welcome it or not. Thanks, Elizabeth. I totally agree that we can seek and receive forgiveness at any time of the year. Yet, it seems like Lent is a time when repentance is top of mind. And, I know that I find myself more focused upon bridging the gap in my relationships before Easter arrives.